Homegrown tomatoes enable a home gardener to provide fresh, healthy food for their household, while saving money on their household grocery budget. Oklahoma has hot summers and harsh winters, which makes it impossible to grow some varieties of tomatoes. Keeping the Oklahoma climate in mind, there are several tomato varieties that can flourish for home gardeners. The fruit of the Juliet tomato is small and oval-shaped. This prolific tomato plant grows to heights of over 6 feet tall, according to Dave's Garden. Juliet tomato plants prefer well-drained soil and sunny conditions, which the Oklahoma gritty soil and summer climate provides. 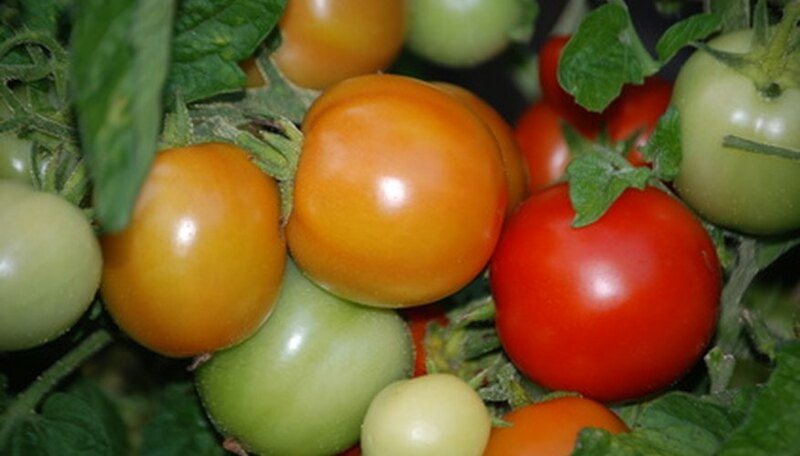 Juliet tomatoes develop from seed to mature fruiting plants in an average of 80 days. Better Boy (VFN) tomatoes are hybridized tomatoes that were genetically engineered to be hearty, strong plants. The letters "VFN" refer to the plant's engineered natural ability to resist verticillium wilt, fusarium and nematode disease. They were also engineered to withstand the brutal sun (found in Oklahoma and further south) without cracking. While most tomato plants produce yellow blossoms, Better Boy produces yellow and white blossoms. Plants reach fruit-bearing maturity at an average of 72 days. Roma (VFN) tomato plants are more compact and bushy than most tomato plants. Their average mature height is 4 feet tall. These plants bear oblong, meaty fruit with low moisture content, which makes these tomatoes suited for sauces and pastes. The sandy, clay soil of Oklahoma provides adequate drainage for Romas, but Oklahoma gardeners should mix in organic compost at a rate of 1:1 to improve the soil's acidity. Yellow pear tomatoes are a variety of cherry tomato. As the name implies, the skin and flesh of yellow pear tomatoes are bright yellow. The yellow pear tomato plant grows very large and needs stakes or cages to keep it growing upright. The well-drained soil of Oklahoma, along with the bright summer sunlight, enables this plant to eventually bear hundreds of yellow pear tomatoes. Brandywine tomatoes--and their very close relatives, Yellow Brandywine tomatoes--are heirloom tomatoes. "Heirloom" refers to a type of plant that has existed for at least 50 years without any hybridization or genetic engineering. Tomato enthusiasts insist that heirlooms--like the Brandywine--have a deeper, more robust tomato flavor. Brandywine tomatoes grow up to 7 inches in diameter, on plants that are over 6 feet tall. Brandywines prefer well-drained, gritty soil, such as that found in Oklahoma, as well as plenty of bright, hot sunlight.